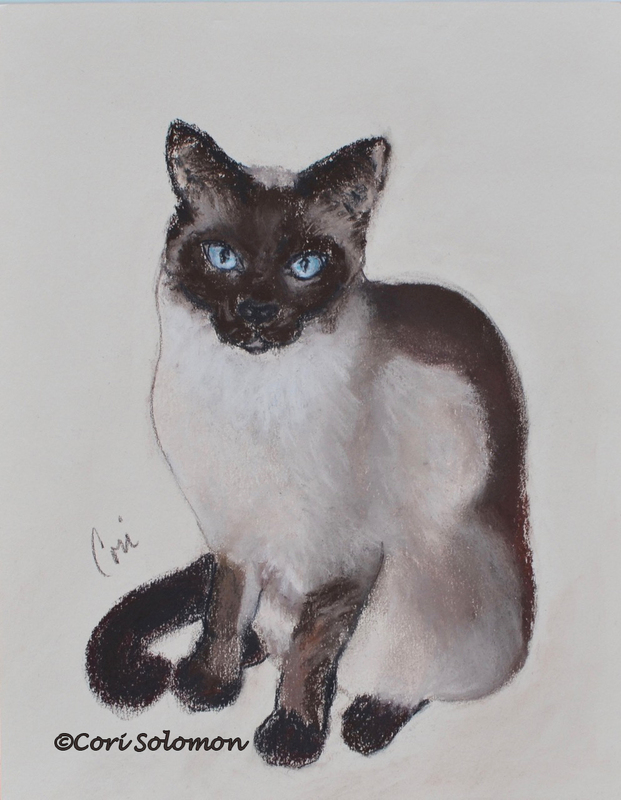 This Siamese cat was my most recent commissioned cat portrait. This was a special gift to someone for Hanukkah and was well received. I love the blue of the Siamese cat’s eyes. The blue eyes gives this cat breed its character. The eyes seem to sparkle and the contrast against the brown face of many a Siamese just pulls out that wonderful color.